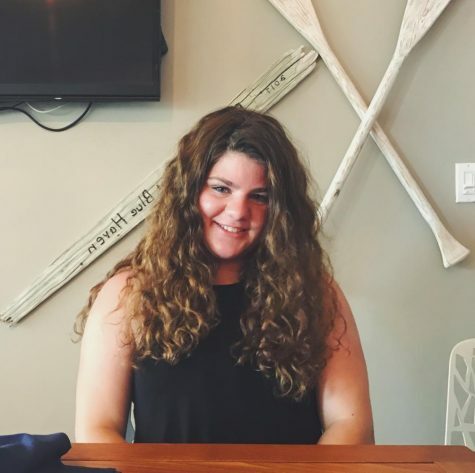 Edan Larkin, a senior, started as a member of the Harborlight in her freshman year after taking Mrs. Fennelly's Journalism class. She is also co-president of Best Buddies, captain of the Debate Team, captain of Model UN, a Community Service committee head in Student Council, and a varsity Track & Field athlete. Outside of school, she enjoys writing, reading, and music.